Castle Bijaipur is located in the district of Chittorgarh in Rajasthan. Set amidst the serene Vindhyachal ranges, this Castle was built in the 16th century by Rao Shakti Singh. The hotel Castle Bijaipur offers a bewitching blend of the Mughal and colonial architectural styles that make it a distinct place to stay. The 16th-century Bijaipur Castle entices tourists with its location right next to a wildlife sanctuary where leopards and wild boar, blue bulls and spotted deer roam free. Built by Rao Shakti Singh, the younger brother of Maharana Pratap Singh in the 16th century, the castle is being run as a heritage hotel by the Bijaipur royal family now. The Castle Bijaipur provides excellent lodging facility with an option of jeep safari in the nearby villages and opportunity to enjoy the traditional Mewar hospitality. A must visit site of Bijaipur. 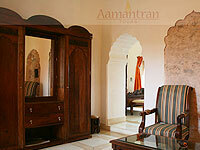 The Castle Bijaipur has 16 rooms including 6 royal suites. Apart from normal Indian and Continental food, Mewari food is also served prepared by most experienced cooks from the region. 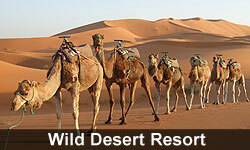 For adventure seekers, the hotel has facilities of trekking, horse safari, and jeep safari.